HomeTraining ZonePG the PTPG the PT – What happens if you play against Roy Keane? Would you be able to handle a fiersome competitor like Roy Keane? In his column in this week’s Gaelic Life, Pauric Grimes explains a moment when fitness lost out to mental fortitude. He tells the story of one of his clients, a former professional footballer who was on the brink of playing in the Premier League. 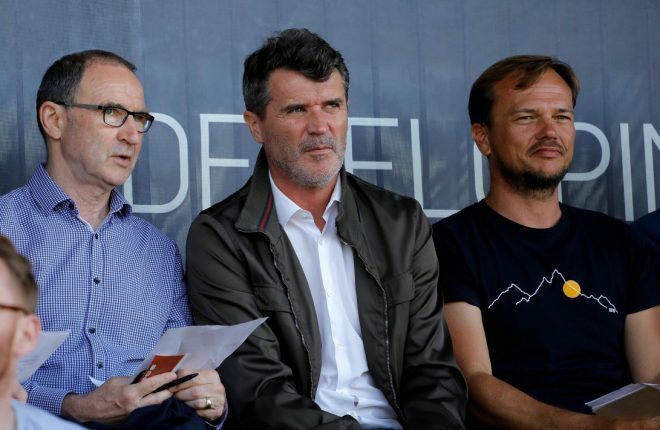 “My client told me that he played against Roy Keane. It was Keane’s first game back from his cruciate ligament injury. It was mid season so my man was flying fit. “He’d made a few of the first team match day squads, and was at the absolute peak of his powers. “Then a half fit, one legged Roy Keane bullied him around the pitch for 90 minutes. Pauric goes on to explain how working on mental strength during training can help with this situation.